This morning it was a quick breakfast in the room with coffee in our mugs from Contempo cafe and then out to typhoon lagoon for opening. We arrived at 9.50am, they had already let people into the park but everyone was held before the bridge over to the big wave pool until 10am. 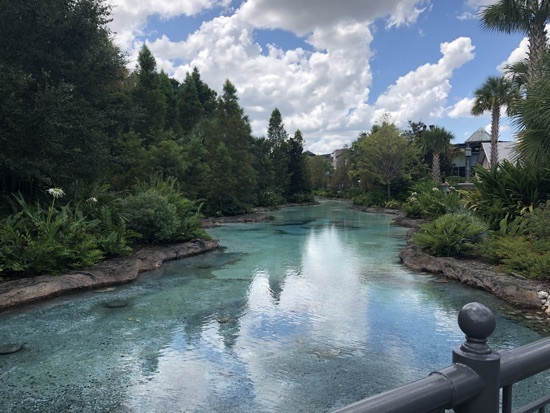 We grabbed a sun lounger near the wave pool and headed off into the water, we then did miss adventurefalls with a 5 minute wait and then a float round the lazy river. Dd played in the kids area and we had a go down the family raft which is quite frankly not worth queuing for and the another float round the lazy river before leaving at 12.15pm. We had a reservation for lunch at chef art smiths homecomin' so drive over to Disney springs and parked up in the orange garage. We walked on down to homecomin' and were seated right away. After eating here at Easter we knew the portion sizes involved so we were going to get 2 starters and share them. First up we all ordered a coke each. 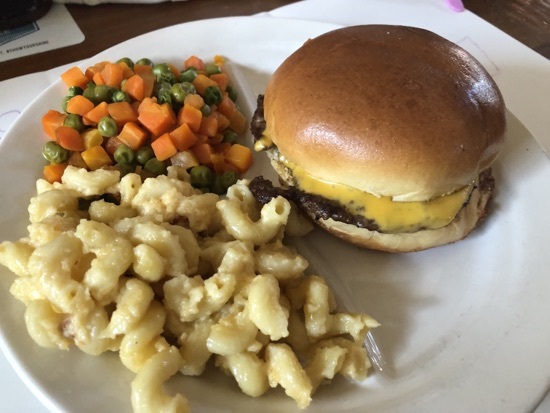 Dd had the kids cheeseburger with vegetables and mac & cheese, this was $9. The vegetables were peas and carrots but Dd said they tasted weird and she loves veg usually. We also got the jasper board to share, this was $18. 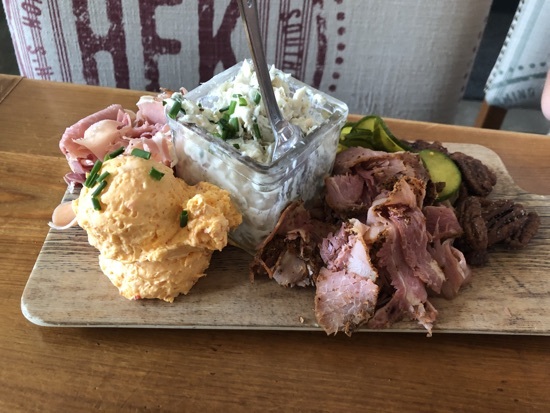 On it there was smoked fish dip, pimento cheese, 2 types of shredded/thinly sliced ham, candied pecans and pickles. 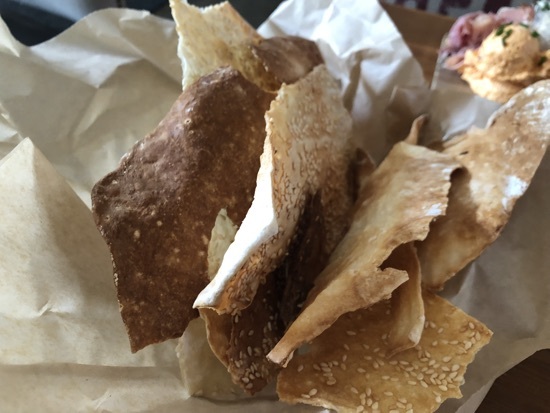 It was served with some crisp breads. This was lovely. 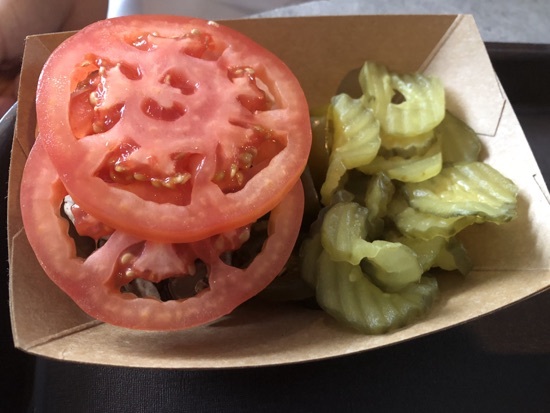 I especially liked the pimento cheese. They have 10% dvc discount here so our total came to just over $50. After lunch we had a wander round Disney springs and popped into the Joffrey shop where we bought a couple of bags of coffee. We got the French bistro coffee that is in the rooms at Disney and the California grill blend. These were $13.49 each with an extra 20% off dvc discount. The sky darkened and it looked like rain was imminent so we called it a day and drove back to BLT, we decided we were going to head over to magic kingdom for the evening but the rain started. 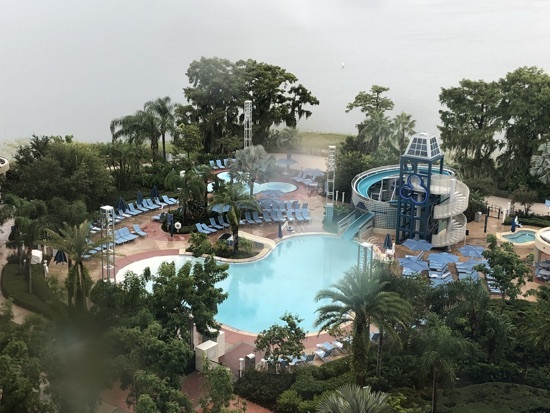 We got ready and made our way down to community hall on the ground floor to wait out the rain, we did some colouring and the rain soon passed so we caught the monorail round to magic kingdom. 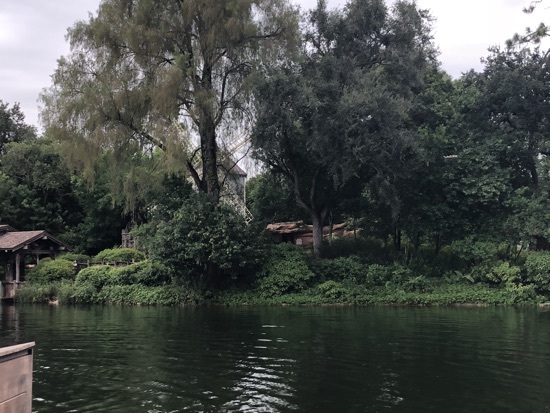 I've booked a fastpass for big thunder mountain so we rode that, then caught the raft over to Tom Sawyer island, this is something I haven't done for a good few years, it was a bit disappointing as a lot of it was closed off due to the refurb of the water around it/liberty belle. The mine and cave were still fun though If we couldn't go to the fort. After our brief visit to Tom Sawyer island we went on haunted mansion and then met Mickey Mouse, dd was upset that he no longer talks as this was always a highlight for us. 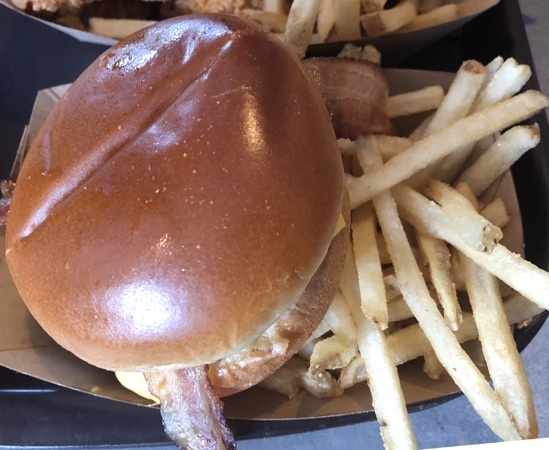 It was nearing 7pm and we thought we should probably get some dinner, I don't think there's a go to place to eat in magic kingdom so we just stopped by cosmic rays, it was quite busy at the tills so we used the app to mobile order which is such a great way to avoid the queues. DH had a bacon cheese burger. 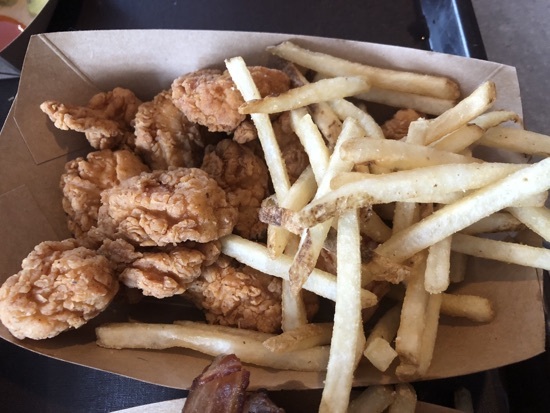 Dd and I shared the 10 piece chicken nugget meal, the nuggets were all big pieces of chicken and with some fixin's to add to it there was enough for us both. The nuggets went well with the chilli/pepper sauce from the fixin's bar. 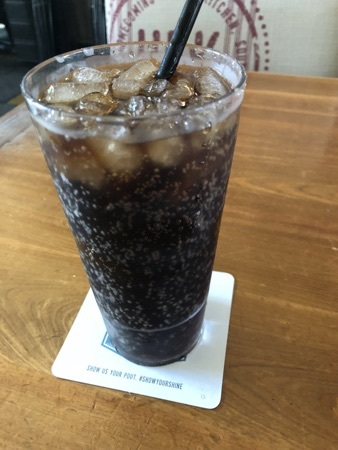 We got a coke to share between us and this cost a total of $28. 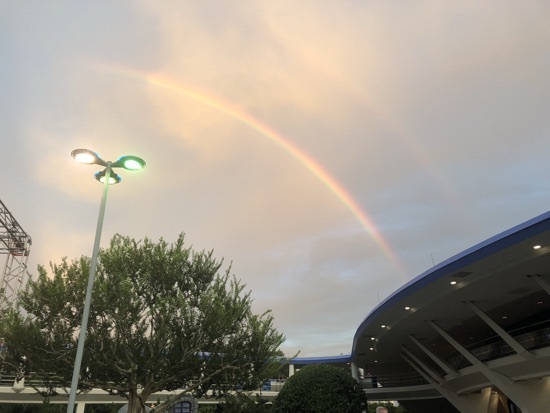 After food DH went on the carousel of progress and there was a lovely rainbow in the sky while we waited for him, then we rode Tomorrowland speedway and the mad hatters tea cups. By this point my feet were starting to hurt with all the walking we've done over the past week and a half so I decided I wasn't going to hang around for happily ever after and left dd and DH to watch these on Main Street. 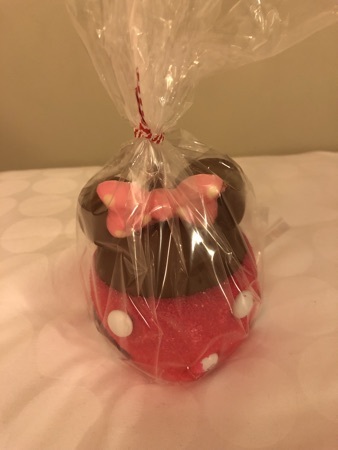 When they returned dd had got herself a Minnie Mouse novelty apple. These was pretty expensive at $10 but really cute. New Photo Added by missdopey - 30 Aug 18 1:48 PM. 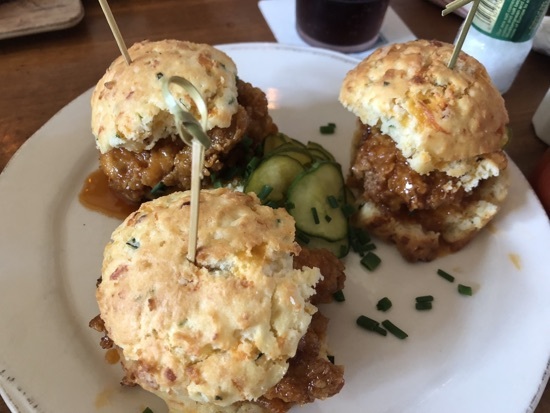 Lunch in Disney springs looked lovely !